I’m fascinated by the issues surrounding the intersection of technology, society, and policy. I’m especially interested in information security, privacy, and online safety, and I really enjoy researching and writing about these topics. On this site you will various things I’ve written, including published articles, white papers, testimony, and research, as well as articles where I’ve been cited, and presentations I’ve given. June, 2016: The resource I administer, the Microsoft Trust Center, continues to gain traction as we recently added Power BI and Dynamics, as well as localized in 10 languages. January, 2014: I co-authored a new study entitled The Cybersecurity Risk Paradox: Impact of Social, Economic, and Technological Factors on Rates of Malware. The report focuses on specific ways that social and economic factors affect cybersecurity outcomes worldwide. 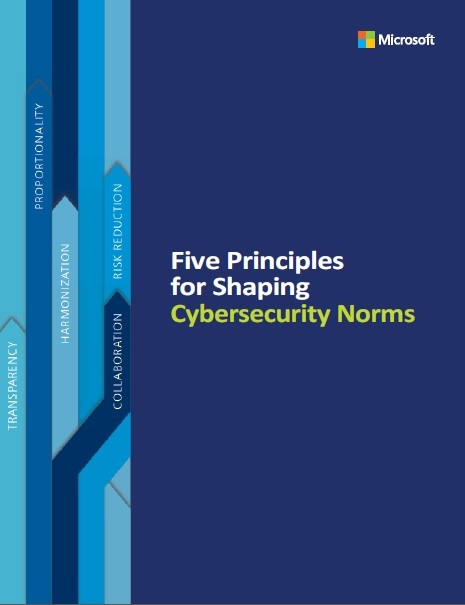 October, 2013: Microsoft released a paper I wrote, Five Principles for Shaping Cybersecurity Norms at the Seoul Conference on Cyberspace 2013. The conference was fascinating – I attended while managing the launch and our booth presence.